A new Code 3-supported program is bringing at-risk youth from Southeast DC and Prince George’s County to Westminster, MD where they are learning life skills alongside police through recreational boxing. Founded by Ron Pisano, a U.S. Park Police Sargent, “Boxing for Life” has become a safe zone for 10 at-risk youth. Ron personally transports participants from high-crime communities to Westminster, MD to get them away from negative influences. 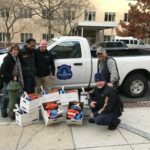 When interviewed, two participating youth from Southeast DC said they never thought they could trust a police officer, but their time spent in the program has given them a new outlook on life and kept them out of trouble. Another participant felt empowered to resist joining the MS-13 gang in his neighborhood as a result of the confidence he gained through participating in the program. 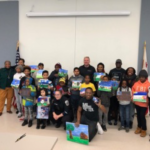 Efforts such as these are making a difference in young lives and fostering trust and mutual respect among police and the communities they serve.